Travelocity is kicking off its Travel for Good contest today. By Tweeting where you would like to volunteer, you may win the grand prize – just like I did last year. 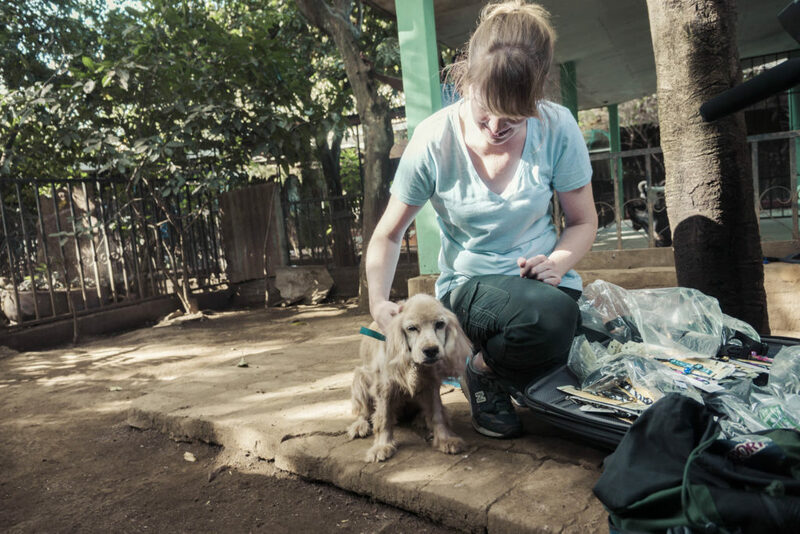 I traveled to Nicaragua with the non profit organization World Vets, which provides veterinary care to animals who would otherwise not receive it. In four days, our group of veterinarians, technicians, students and assistants spayed and neutered 250 animals. In addition to funding my trip, Travelocity also made a generous donation of 300 leashes and collars for the dogs and cats that came to the clinics. I can’t over emphasize how grateful and happy the people were who brought their animals in for treatment. If you have watched my interviews over the years on this site, you know that I am never on camera. It’s entirely outside my comfort zone. But I happily let Travelocity film parts of my trip to help raise awareness about World Vets. You can get details on how to enter the Travelocity Travel for Good contest here: http://travelocityforgood.tumblr.com/. You can also learn more about World Vets, including how to donate and volunteer here: http://worldvets.org/. Please enjoy the videos from my trip!